I stepped into No Man’s Sky for the first time nearly 1,600 in-game hours ago. Back then it was just you and your tiny starship thrown down into an alien universe, devoid of context. I remember waking on a rocky ice world with strange, long-necked creatures darting about. After gathering my wits, I set off exploring…and I haven’t stopped yet. While there were plenty of planets devoid of life and exuding an unsettling eeriness in this new universe, others featured incredible and varied structures of rock — craggy and endless formations that one could explore for days. Or lush fields and slopes and jungles, tangled with colorful flora arrayed wildly across dramatic landscapes that demanded no less exploration. Frozen worlds of howling storms were sometimes too severe to host but the very occasional tree, vine, or bud. These worlds were not at all tidy and they were jagged, fractally chaotic, and often peppered with structural glitches. It was very much a “Wild West” of sorts, out there. The worlds were pitted, they were often absurd, and they were magical to me. After all, I grew up playing Rescue on Fractalus. 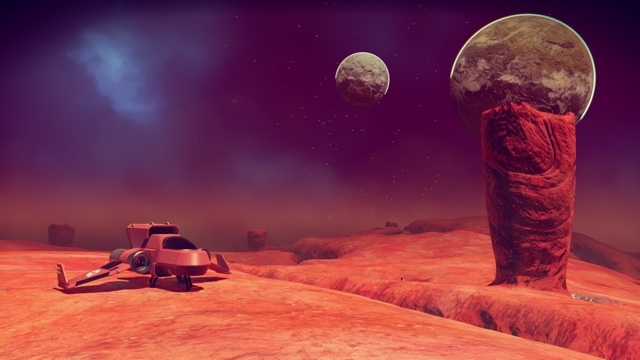 As the months passed by from then to now, No Man’s Sky has received three major updates, two mid-level updates, and many smaller feature and maintenance updates — nearly 45 updates in all, and all of them free. 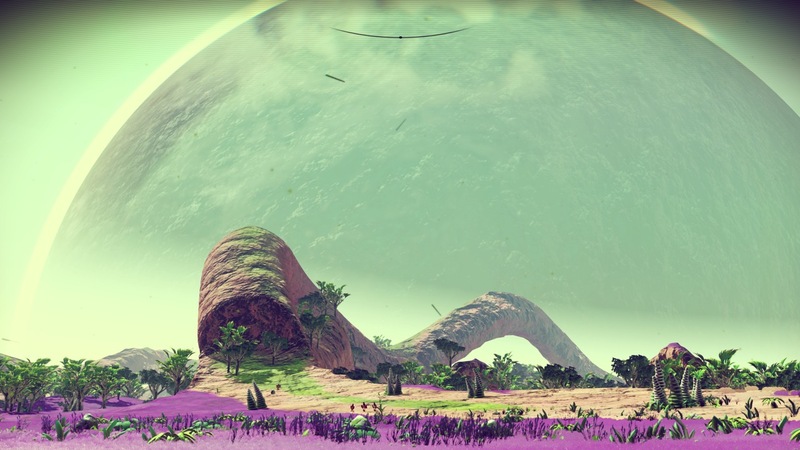 (What’s more, a fifth major update set for summer release has just been announced: No Man’s Sky BEYOND.) 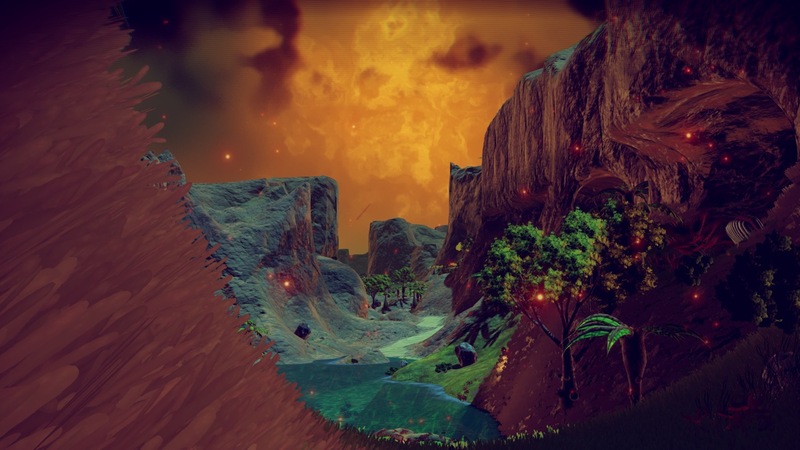 These updates brought iterative enhancements to the graphics engine and terrain rendering systems and expanded the game with many new gameplay elements, including freighters, ground vehicles (with racing), new biomes, portal travel across galaxies, a major underwater overhaul, additional lore quests, and — yes — the online multiplayer elements (delivered in stages) that so, so many were fretting and screaming for at the original launch. 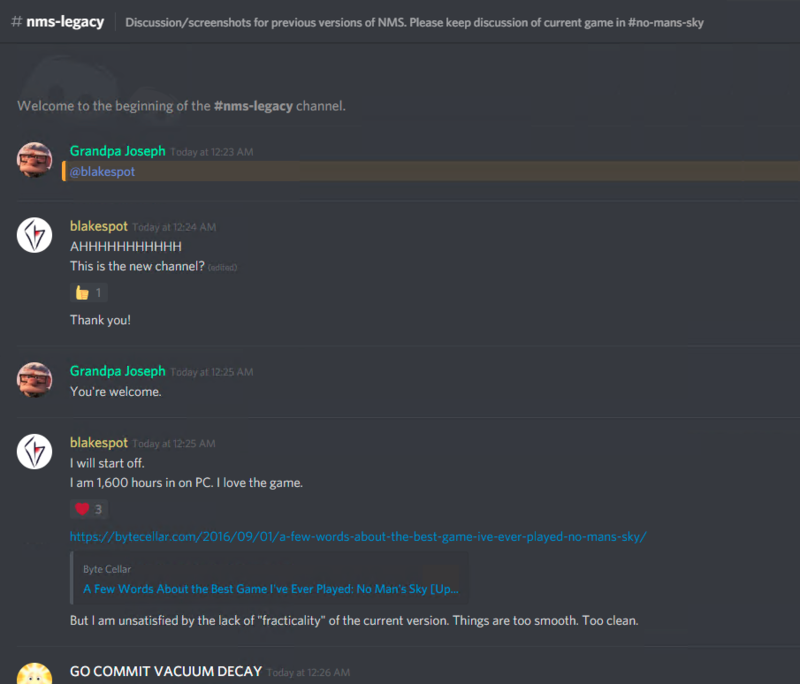 I will point out that I was not one of these people; I never expected or asked for online multiplayer, and have little utilized it since it arrived. The likely reason for why that is the case is well explained by Mithrandiel in his insightful post, No Man’s Sky Doesn’t Have a Multiplayer Problem, Gamers Have a Solitude Problem. I like the solitude. So, the game we have today is much “cleaner” in its planetary terrain, less of an endless sort of bramble. Things are tidier. This is more conducive to ground vehicle travel, and things overall appear more coherent, in a way. 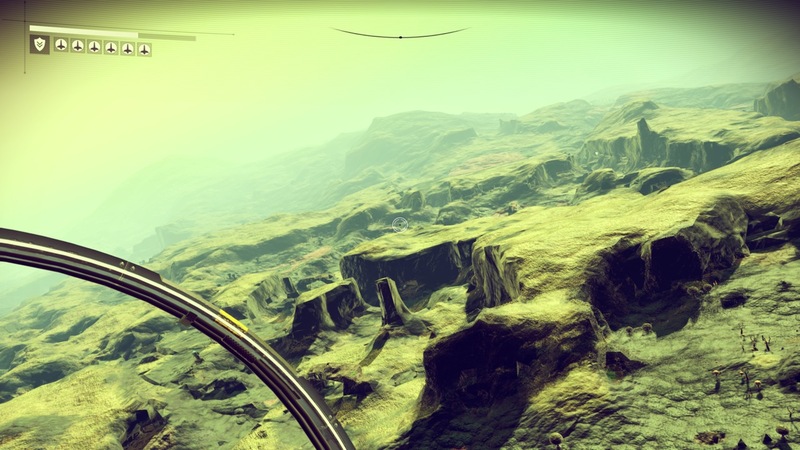 The biomes seen early in the game are represented, along with new, more alien biomes hosting towering alien structures that dwarf the player and are quite surreal. It is an amazingly beautiful game with a rich atmosphere and lovely ground tessellation that adds realism to the terrain. But being cleaner, tidier, there is noticeably less of that “Wild West” feeling of the early releases. I’ve kept a photo gallery of my travels across all versions of the game and the shift in aesthetic can be seen there. 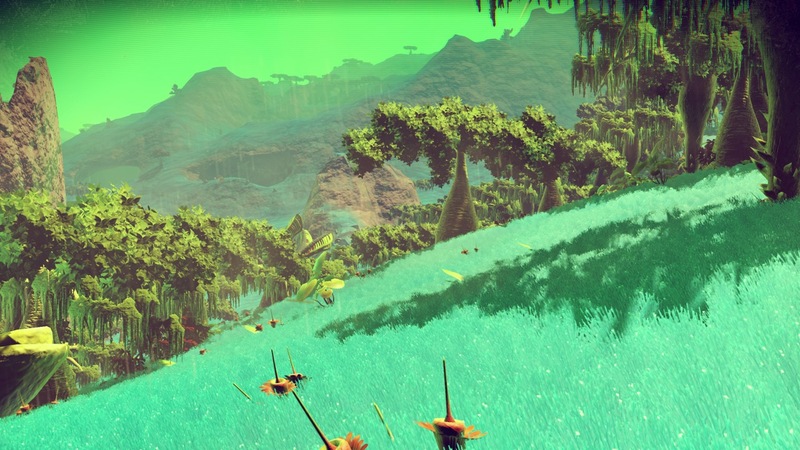 No Man’s Sky is a far more full-featured game now than it was when it was released, and that clearly appeals to most gamers who have jumped in. In fact, it just recently won the SXSW Gaming award for Most Evolved Game. But…I like the solitude. I like the fractally chaotic. I am now 25 hours in on a fresh start in the Foundation universe and it has brought back so many great memories. The brambly, jagged worlds of old laid out before me have been a true pleasure to explore — imperfections and all. I am loving it in a huge way. True, I am cutoff from multiplayer, weekly social events, my discoveries being logged online, and so many gameplay elements that have made No Man’s Sky more popular than it has ever been. And there’s grass growing through the floor of my base. But, that’s fine. I like the solitude, and the solitude I feel being one of a tiny handful of people experiencing the very early days of this vast universe is even more profound than it was when this was the current state of the game. It had been a long time since I woke up early on a work day to get in some No Man’s Sky game time, but here we are. As such, it’s my intention to stay in this early period for the foreseeable future and eagerly do what I’ve always loved best: Explore. 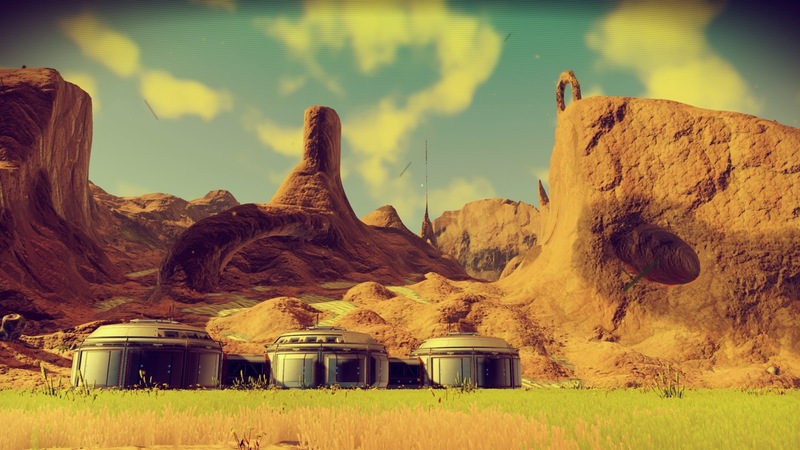 It is my hope that as Hello Games continues to evolve No Man’s Sky, they consider tousling it’s hair a bit — bringing back some of that “Wild West” vibe that some of us, if but a minority, so very much enjoyed. 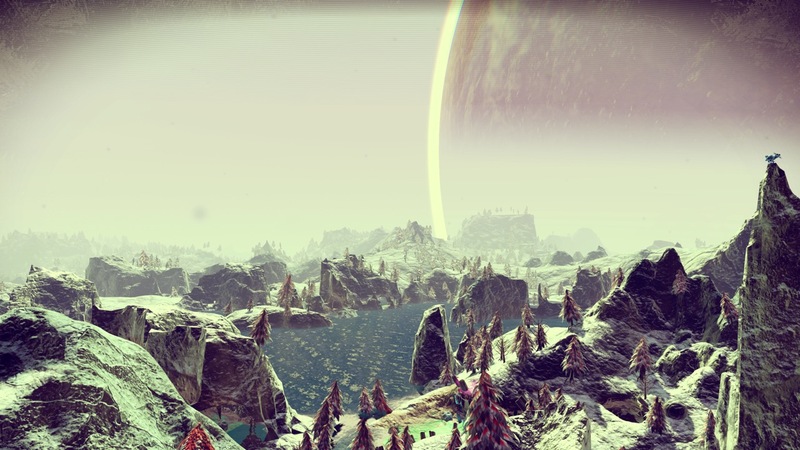 This entry was posted in Gaming, No Man's Sky and tagged Atlas, gaming, Hello Games, No Mans Sky, PC, PS4, Traveller, Xbox One. Bookmark the permalink. Abyss and Visions are the two mid-sized updates I referred to. I consider them to be less than major for several reasons. Abyss being the larger of the two, granted. I’m sure you’re not alone in considering them major, though. You just red my mind, GREAT article! This is actually pretty interesting given the story they added to the game. It would actually be pretty cool if they made this a feature in the game. Where you start off in the 1.0 release and iterate up every time you finish the Atlas questline. Perhaps shorten that questline in the early versions so you could iterate up fast if you wanted. I would start a new save for that. I’ve been tracking this game on and off since its release because it seems like it might be my kind of game. I’ve had it on my Steam wishlist for quite a while and get notifications when it is on sale. The one problem is my (now literally) decade-old equipment. I’ve bought other games with the “I’ll play it someday” mindset, but No Man’s Sky hasn’t quite made it to that level (or price).